Luke Bryan left us off with a cliffhanger. 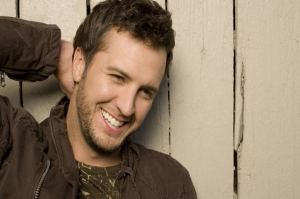 Over the last couple years, Luke Bryan has become a superstar. I’m going to say it right now that Luke Bryan is a superstar in country music. I don’t think he’s heading out on a headlining tour in 2012, but I think that will be the case in 2013. There are about one or two more singles from his latest album that will take him through this year and I think that will lead him well into next year for a new album. Drunk On You is pretty close to the storyline of Luke’s last hit song. That was left off with a to be continued… and I think this is a great continuation of where that story left off. The girl was gone and Luke was moving on to the next show. With this song I feel like the two will meet again for another night of summer romance. And I think that’s where Luke is finding his groove with his music these days. There is a place in country for a guy with a little more twang than everyone else. Luke is just a guy that sings with a romantic side in his songs. This has been the case for most of Luke’s singles especially in the last one or two years. The fans seem to really respond to it and I think Luke is just hitting his stride. That’s why he’s going to be a superstar by this time next year. Everybody’s speakers will be going boom boom with the sound of Drunk On You by this summer. It’s a great song for Luke Bryan and country fans will love hearing it throughout the summer at all of his shows.